Traveling is one of the things that allow us to explore, get rid of the pressure of life, relax, get new experience, and most importantly, enjoying and reshaping our life as possible as we can. 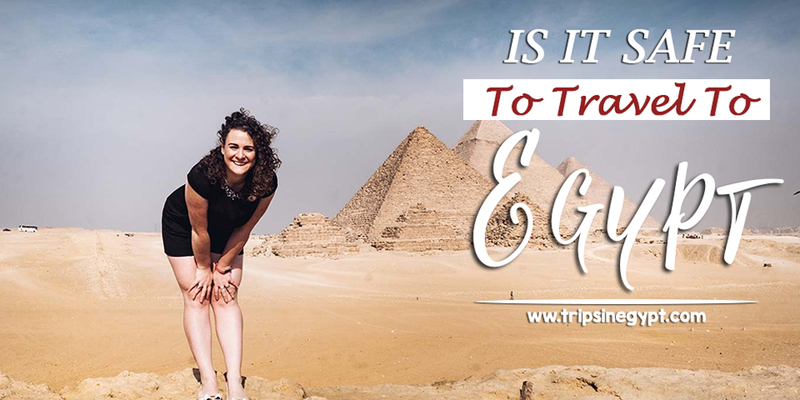 With so many choices, you’ll find out that traveling to Egypt is the best choice you’ll ever do and let us respond to your question about is it safe to travel to Egypt right now!! 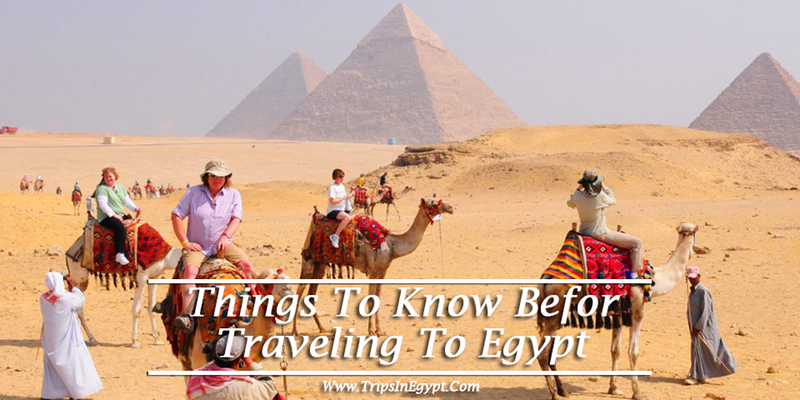 In Egypt, you’ll be able to travel as a solo traveler or in a group with no fear of anything as during all of your trips in Egypt, you’ll be accompanied by the best guides who will ease everything for you. That is not all as in Egypt, you’ll be able to do all of the types of our f tourism starting from educational tourism while visiting the best historical attraction in Egypt plus your ability to have fun and relax while visiting the coastal beaches of the Red Sea which is going to be an unforgettable experience for you. The government in Egypt is doing its best to confront terrorism as possible as it can throughout its remarkable procedures to secure the tourist destination in Egypt in every single part of the Egyptian land. Terrorists’ attacks occur in all of the globe’s country but the Egyptian forces keep an eye on any terrorists’ possible attacks to prevent them and keep Egypt as a safe country as usual that hospitalize a great number of tourists daily during the different parts of the year. Egypt has a long history of tourism which dates back to the time when the Greeks and Romans visited in ancient times. Europeans flocked to the country in the 19th century and they were especially attracted to Nile cruises. Surprisingly, more than 50,000 people came in the 1897 & 1898 season. Egypt was known for its antiquities as well as for its healthy, dry climate. Tourism has grown rapidly in the 20th century as the number of destinations in the country increased and travel became easier. The sector was challenged by the 2nd World War and by the mid-century events that caused instability and altered relations with other nations such as the political turmoil of the 1950s, the nationalization of the Suez Canal, and the conflicts with Israel. The Ministry of Tourism wants to develop other products and activities that could attract more people and offer visitors good reasons to stay longer in Egypt while enjoying visiting the mesmerizing destinations there. That is why the government has been seeking investment support and partnership with tourism product developers. Nowadays, there are some projects by the government that seek that kind of improvement including those related to golf, sailing, shopping, and wellness. The real hope of the Egyptian government is to attract everyone from the luxury traveler to the budget tourist to spend a magical unforgettable in the land of pharaohs. It is a high-technology business district located on the Desert Road of Cairo-Alexandria west of Cairo and it occupies an area of 450 Ffeddans. It’s a business district with some office buildings, retail shops, entertainment, great factory, and gorgeous green spaces. It is often called Sayyid Darwish Theatre and was built in 1918 & actually opened in 1921 in the city of Alexandria, Egypt. It was named Teatro Mohamed Ali after its opening. It is a marvelous planned museum of artifacts of ancient Egypt and it is considered the largest archaeological museum in the world. It is under construction and it is believed to open in 2020. It is going to exhibit the full Tutankhamun collection with many pieces to be displayed for the first time. The museum is located about 2 kilometers from the Giza pyramids and is part of a new master plan for the plateau. 4- National Research Institute of Astronomy and Geophysics. The best time to visit Egypt is in spring as the weather during that season is pleasant and the major attractions such as the Pyramids of Giza, Aswan, and Luxor are still fairly quiet and you have to avoid the period between June and August as it becomes so hot and you won’t feel comfortable during your tours. During the high season of December to February, you’ll benefit from cheaper hotel prices, especially if traveling either side of. Choose the period that includes Egyptians’ celebrations including Eid El-Fitr & Eid El-Adha, Egypt Easter Vacation, Egypt Christmas Holidays, Abu Simbel Sun Festivals, and other splendid festivals that are going to let you have a truly interesting experience. 1- Prepare your passport that should be valid for at least 6 months and your visa to be able to travel to and from Egypt safely. 2- You need to know about the 9 International airports in Egypt especially Cairo International Airport which is located 15 miles northeast of the city in northern Egypt to know how to move from an Egyptian city to another one. 3- Review the political state of the country before traveling to Egypt. 4- You need to choose the best time of the year to travel to Egypt according to the climatic reports. 5- Search for a professional travel agency to spend an unforgettable vacation in Egypt. 6- Know about the Egyptian currency and see the accurate of money you are going to need. 7- Be aware of the Egyptian customs and traditions so that you can deal with the Egyptians easily. 8- Prepare suitable clothes that suit the temperature in Egypt. 9- Collect information about the most popular Egyptian meals so that while being in Egypt you get the opportunity to try all of its delicious meals. 10- Prepare all of your medicine with you and be sure to pick up all of your medical remedies with you. 11- You shouldn’t skip a visit to Giza Pyramids at Giza Pyramids Complex as it is chosen by the majority of tourists to be their first targeted destination so that they witness the greatest Wonder of the World. 12- Try Egypt Nile cruise packages to visit the most exquisite temples, tombs, and monuments located in Luxor & Aswan. 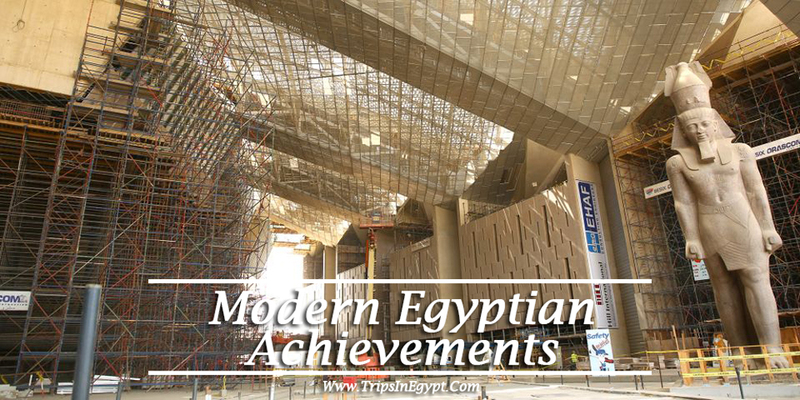 13- Prepare yourself to spend a majestic tour to the Grand Egyptian Museum that is supposed to be opened in 2020 to witness some of the unique pharaonic landmarks. 14- Try some of the best Egyptian food like Kushari, fool & Tamia, Hawawshi, Mahshi, Kofta, Kebab, in addition to some favorable Egyptian desserts including Golash, Basbosa, Konafa, and a lot of Egyptian dishes that can’t be missed. 15- Bring your camera with you so that you take memorable photos of the best tourist destinations in Egypt. 16- Bring with you some comfortable clothes based on the number of days you are going to stay in Egypt in addition to your sunglasses & your hat. With no doubt, Cairo will be your first choice as you’ll surely want to visit the great Pyramids in Giza in addition to visiting the most breathtaking Coptic, Islamic, and Historical attractions in Cairo such as The Hanging Church, Abu Serga Church, Ben Ezra Synagogue, Salah El-Din Citadel, Mohamed Ali Mosque, Khan El-Khalili Bazaar, and the marvelous Egyptian Museum. The city that contains more than one third of the world monuments and through visiting Luxor, you’ll find the true meaning of uniqueness and greatness while touring around the marvelous temples there including the magical temples of Karnak , Hatshepsut, Luxor, in addition to heading to the majestic Valley of the Kings, and the last remaining parts of Amenhotep III complex that are called “Colossi of Memnon”. While touring around Aswan, you’ll meet the beautiful Nubians who will be ready to help you in visiting their city and get pictures in the most beautiful places there in addition to your ability to head to the spectacular Pharaohnic destinations including the tiptop temples of Abu Simbel, Philae Temple, The Unfinished Obelisk, the High Dam, Kom Ombo, Dandara, Abydos and Edfu Temples and a lot of other great places that you’ll never forget. 4 days Nile cruise from Aswan to Luxor is your best way to discover Egypt while touring around the most exquisite landmarks in Luxor and Aswan which is a truly safe & comfort way to have your trip. This city is called the bride of the Mediterranean Sea because of its mesmerizing attractions and places that you can head to while being in Egypt including The Catacombs of Kom El-Shokafa, Alexandria Library, Qaitbay Citadel, Pompey’s Pillar, and other unique gardens and museum to relax and have the best trip of your dreams. Among the most highly recommended coastal sites in Egypt, you can head to Hurghada, Sharm El-Sheikh, Marsa Alam, and El-Gouna, where you can enjoy the best coastal beaches while relaxing & meditating and with Egypt Tours Packages, you’ll have some fabulous opportunities to do some adorable activities including Snorkeling, diving, swimming with dolphins, trying some submarines to discover the world beneath, and last but not least, you can go on a truly unforgettable tour to try desert safari to experience an Egyptian mixture of adventure & charm. Choosing a travel agency to customize a program for you in Egypt is a double-edged weapon as on one hand, if you chose a good one, you’ll spend an unforgettable tour as they will do their best to make you get the trip that wants with the best public transportation, best possible services during the whole of your tours, terrific Egyptologist tour guides, most comfortable 5* Hotel Accommodations, and so on just like what “Trips in Egypt” has to offer with its spectacular Egypt day tours, Egypt tours packages, and Egypt Nile cruises packages and they are totally ready 24/7 to reply on your inquiries. On the other hand, choosing a wrong travel agency can turn your vacation upside down by turning it into a nightmare with inconvenient accommodations, rushing during tours, old cars for transportations, etc. So, according to this, you have to choose carefully your travel agency to keep remembering your lodging in Egypt as a terrific memory. Finally, we hope that your article has answered your question is it safe to travel to Egypt right now. Also, you can read more info about Egypt such as Public holidays in Egypt & the best attractions in Egypt through our Egypt travel blog.